The Jewish Museum in London reopens March 17 after a 10 million pound ($15 million) redevelopment. The new museum places Jewish history and culture in the U.K. in the wider context of British history. The museum is located in Camden Town, at 129-131 Albert Street, London NW1 7NB. Its new displays and exhibitions will tell the story of Jewish history, culture and religion in an innovative and compelling way and engage with people of all backgrounds and faiths to explore Jewish heritage and identity as part of the wider story of Britain. The only museum in London dedicated to a minority group, the museum’s expansion and redevelopment was made possible following a £4.2m grant from the Heritage Lottery Fund. One of Britain’s oldest minority groups, the Jewish community has made a vital contribution to British life. 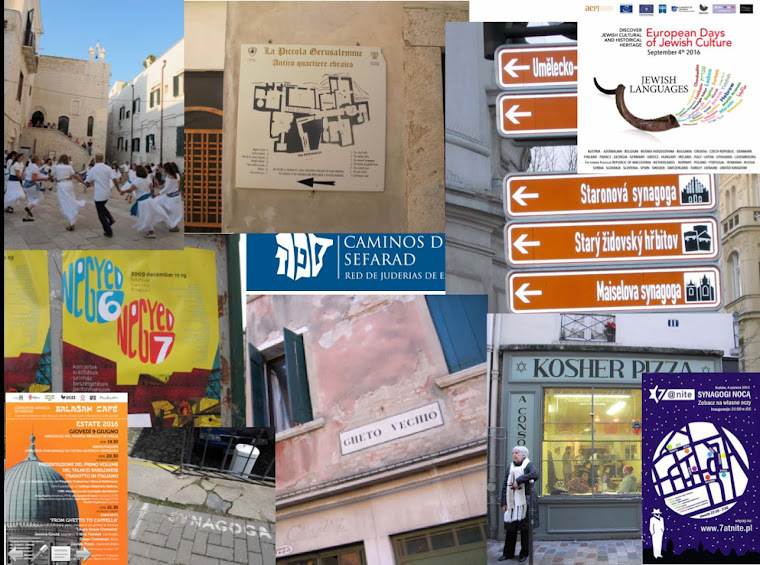 From banking and business to fashion, entertainment and food, many sectors have benefited from the energy and talents of the Jewish community who have come here from all over the world. At the same time, the story of the Jewish people reflects the experiences of other immigrant groups settling in a new country, seeking to make a new life while retaining their identity and traditions. The new museum brings this experience of immigration to life through internationally important collections of artworks, artefacts and photography, as well as ground-breaking interactive displays. Displayed across four permanent galleries, the huge variety of objects, films, photography, hands-on exhibits and personal stories on display will paint a rich and nuanced picture of British Jewish life and religion as well as exploring contemporary social issues around immigration and settlement. The new museum will also house a Changing Exhibitions Gallery, a 100-seat auditorium, an Education Space and a café and shop. A highly evocative recreation of an East End street and tailor’s workshop brought to life with different characters talking about their lives at home and at work. A map showing where Jews have come from around the world, embedded with highly personal objects that they brought with them to their new country, for example a doll brought by a child refugee on the Kindertransport and a bible which was the only object an anti-apartheid activist was allowed to take with him into solitary confinement in prison in South Africa. Rare and precious ceremonial objects including a 17th century Italian Ark and the oldest English silver Hanukah lamp. A Yiddish theatre karaoke presented by comedian David Schneider, whose grandparents were performers in London’s Yiddish theatre, displayed with costumes, posters, programmes from the museum’s extensive collection. A medieval mikveh (ritual bath) from the 13th century, on display for the first time since its discovery in 2001 in the City of London. Welcome Gallery – This innovative multimedia exhibit is the first you encounter as you enter the museum. It introduces visitors to a diverse range of Jewish people including a third generation smoked salmon manufacturer, an Indian-born marathon-running grandmother, a taxi-driver and an ex-army engineer who was commended for her action during the London bombings of 2005. History: A British Story – Visitors can play the Great Migration board game, or smell the chicken soup in an immigrant home. The Same Old Story? interactive display allows visitors to explore attitudes to immigration over the past two centuries. This gallery explores how and why Jewish people have come to the UK from around the world and the challenges of making a new home in a new country. Judaism: A Living Faith – Newly commissioned films in this gallery will reveal a range of contemporary Jewish families celebrating festivals and Jewish lifecycle events such as a wedding and bar mitzvah. These are shown alongside rare and beautiful ceremonial objects including silver Torah scrolls made by George III’s silversmith and religious textiles, such as a fabulous Torah mantle commissioned by the Mocatta family, one of the oldest Jewish families in Britain. Interactive displays enable visitors to design their own synagogue and to hear the chanting of the Ten Commandments from a Torah scroll. The Holocaust Gallery ­ this unique space explores the impact of Nazism through the experiences and poignant personal items of London-born Auschwitz survivor Leon Greenman OBE and other survivors who have made their home in Britain. The first temporary exhibition, Changing Cultures, will explore cultural exchange, migration and identity through the work of contemporary artists from immigrant backgrounds living in Britain including Noa Lidor, Yara El-Sherbini, Mona Hatoum and Sonya Boyce amongst others. Planned future exhibitions will cover themes from Jews in Entertainment to Jewish food and comic book superheroes. The new museum has been designed by Long & Kentish Architects, an award-winning practice who have a long history of developing museums and galleries including the British Library Centre for Conservation, Pallant House Gallery, Chichester (Museum of the Year 2007) and the National Maritime Museum in Falmouth. The new museum triples the space at its Camden Town site, combining its premises in Albert Street with an adjacent former piano factory. Rickie Burman, Director of the Jewish Museum said: “What it means to be British and the issue of cultural identity has never been more hotly debated. At the new Jewish Museum we explore these issues in the context of one of Britain’s oldest immigrant communities. We hope our ground-breaking new displays will inspire people to take a stand against racism and build interfaith understanding and connection." The Jewish Museum London brings together two distinguished museums with complementary collections - the Jewish Museum and the former London Museum of Jewish Life. For the first time these important collections will be brought together on a single site. The Jewish Museum was founded in 1932 and merged in 1995 with the London Museum of Jewish Life, which was created to preserve the disappearing heritage of London’s East End. While the East End has remained an important focus, the museum expanded to reflect the diverse roots and social history of Jewish people across London. It has also developed an acclaimed programme of Holocaust and anti-racist education. Between 1995 and 2007 the combined Jewish Museum ran on two sites, but with a long-term aim to find the means to combine the two collections, activities and displays within a single site. In 2005 the Heritage Lottery Fund awarded a grant of £4.2 million towards the museum’s development project and following years of planning and fundraising, building work started in January 2008. 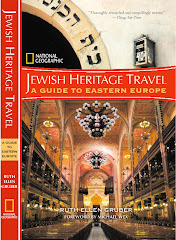 The Jewish Museum’s collections of ceremonial art are among the finest in the world. In recognition of the outstanding importance of the museum’s collections as part of Britain’s national heritage, the Jewish Museum has been awarded Designated status by the Museums, Libraries and Archives Council, one of only 14 museums in London to be awarded this special status. Event Communications is responsible for exhibition design of the new galleries at the Jewish Museum. Event is Europe’s leading exhibition design group, recognised as a pacesetter for pushing the boundaries of existing practice and constantly exploring new ways to interpret, present and connect with audiences.